Cicero (born 106 BC, died 43 BC) was a famous Roman lawyer, speaker, statesman , constitutionalist and political philosopher. He wrote a famous book on law called De Legibus (which means roughly “On the Laws”). In that book he wrote a lot about what he thought about law and natural law in particular. It is discoverable by reason. To Cicero, law was not a matter of written statutes, and lists of regulations, but was a matter deeply ingrained in the human spirit, one that was an integral part of the human experience. Should your examiners request some changes, we will do so for you and for free! This higher power which created the universe did, for reasons known to itself, endow humans with a bit of its own divinity, giving the human race the powers of speech, reason, and thought. Due to this spark of divinity inside humans, they must be related to the higher power in some fashion. Because humans share reason with the higher power, and because this higher power is presumed to be benevolent, it follows that humans, when employing reason correctly, will likewise be benevolent. Cicero says that law does not, and cannot, begin with men. Men, to him, are the instruments of a higher wisdom which governs the entire earth and has the power, through shared morality, to command goodor forbid evil. Cicero also makes a distinction in this section between legalism (actualwritten law, man-made law) and law (right and wrong as dictated by the eternal wisdom). To Cicero, human laws can be good or bad depending on whether they arein sync with the eternal, natural law. A law enacted for a purely temporary or local purpose is law, according tohim, because of of public approval. It has force of law only so long as people observe it and the state enforces it. Natural law, however, needs no encoding, no enforcement. Evil laws, or ones that go against the eternal law, do not deserve the title of“law”, and states that enact them to the exclusion of the eternal law do not deserve the title “states”. To demonstrate, Cicero uses the analogy of unschooled people or quackspassing themselves off as doctors and prescribing deadly treatments. No one in their right mind, Cicero argues, would dare call such treatments “medicine” or their practitioners “doctors”.3 By analogy he argues that man-made laws that don’t match the eternal natural law are not to be called “laws” at all. 1. Wacks, R. Philosophy of Law – A Very Short Introduction (Oxford University Press, 2006) p. 3. Note that Wacks sees 3 main elements of natural law in this quote from Cicero but I think there are 4 separate and distinct elements. 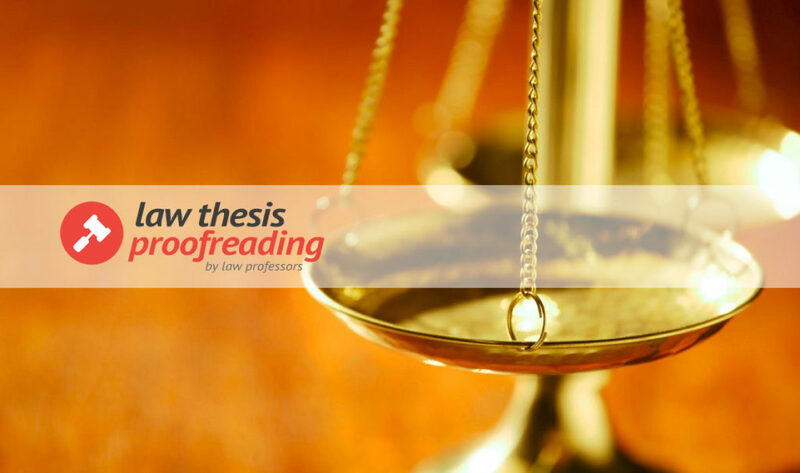 How important is your thesis or dissertation to you? Want to pass or gain distinction? How important is my thesis or dissertation to you?